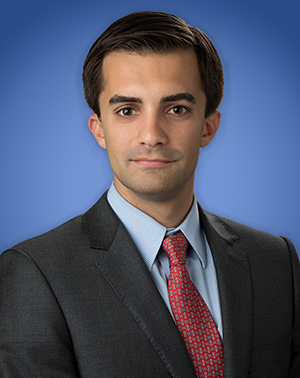 Tilman A. Heyer is an Associate in Lozano Smith's Sacramento Office. Mr. Heyer assists clients with special education and student issues. Mr. Heyer supports school districts, county offices of education, and charter schools on all phases of special education. Mr. Heyer is experienced with federal, state, and administrative litigation, in addition to advising and compliance efforts for our public-sector clients. His practice is focused primarily on the IDEA, as well as Section 504 of the Rehabilitation Act, the ADA, and various other education laws. Mr. Heyer received his Juris Doctor degree from the University of California, Irvine School of Law. During Law School, Mr. Heyer was the winner of the 2015 California State Bar Public Law Section Student Writing Competition, and is a published author on the topic of Constitutional law in public schools. In addition, he was a Student Advocate at the Immigrant Rights Clinic, and the Student Director of the Education Rights Clinic. He earned his Bachelor of Arts in Political Science and German, from the University of California, Santa Barbara.